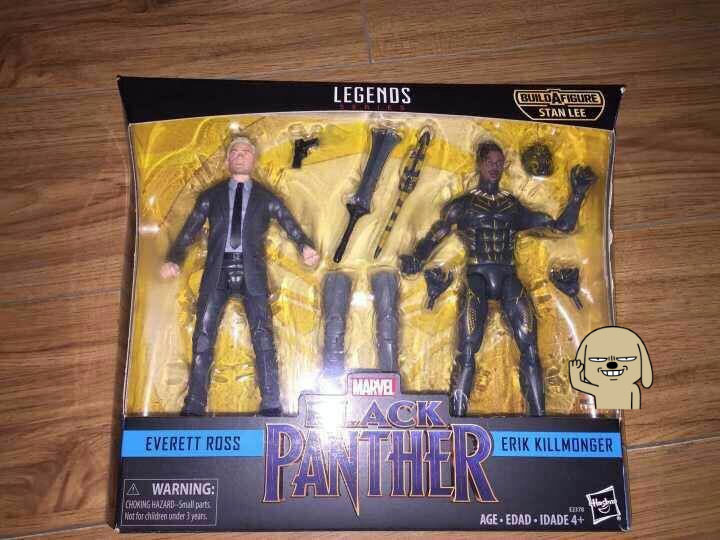 A new photo of the Marvel Legends Black Panther 2-Pack featuring Everett Ross and Erik Killmonger has surfaced. Along with the new photos of the packaging, we also get a close up of the back of the box. 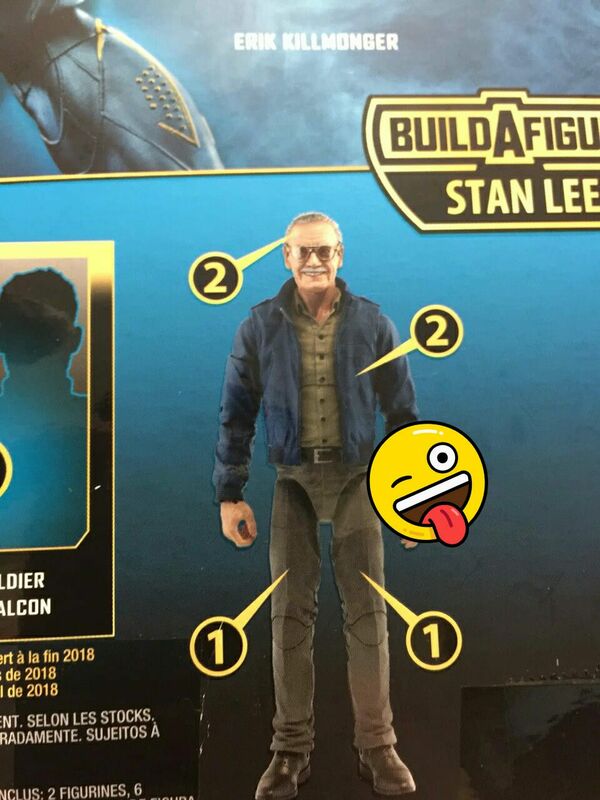 That second photo gives us a good look at the Stan Lee Build-A-Figure. There are only two sets needed to complete the figure, this set and the Falcon and Winter Soldier 2-Pack. The images come to us via MFCT. Check them out after the jump. I’m sure this will plummet in price after a few months, like most ML 2-packs over the past few years, but I don’t know how long I can wait to have that unmasked Killmonger head sculpt. I don’t care about the Everett Ross figure, but having an extra suited body is always nice. Civilian Killmonger or in his mercenary gear would be way better. See I was gonna skip the Bucky and Falconset, but now knowin I can build Stan Lee by just getting these two packs, Im in! I want Stan Lee so I'll probably get these packs even though I don't have much interest in the figures themselves. 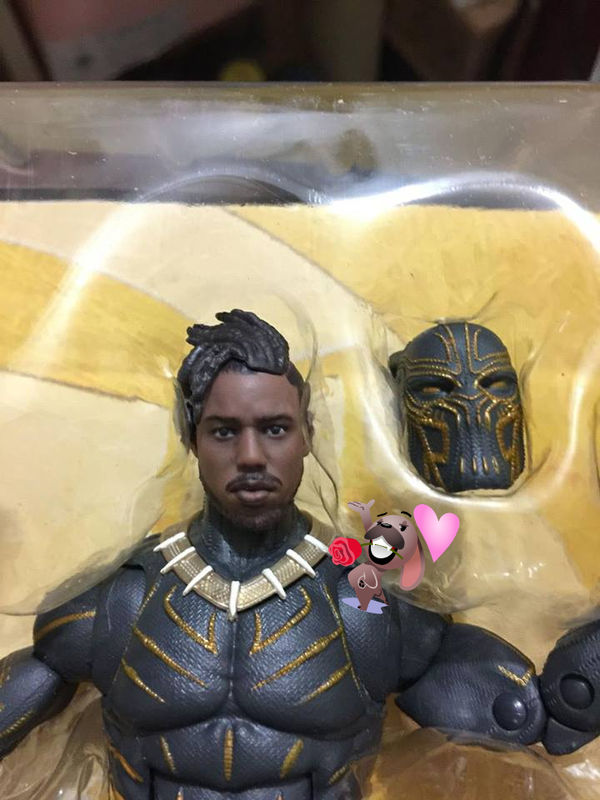 The Killmonger headsculpt looks great. Everyone's asking for his other suit but I don't think I've seen a single figure made of it. You see these scars? On my credit card? I earned each of these. I earned them at BBTS. I earned them at Entertainment Earth. I even earned them going to AmiAmi. All so I could get to this point. All so I could come for Stan Lee. And Michael B. Jordan head. Instabought. And knowing Falcon and Buckwheat are the second part is just what I intended to complete my Avengers cast. Hope I can get Stan for a good price in the after market. Can't care less for the other figures. Well, that kills my chances of the Stan Lee wave of Marvel figures, with Stan Lee, he's allegedly criminal cohorts, and a BAF of his entitled, spoiled rotten daughter. Wow that's actually a decent head sculpt of Michael B. Jordan. I hope this set won't be too hard to get. It's still going to be a Target exclusive right? Damn. When I saw Stan Lee BAF, I was hoping at least 12" tall so he could thunder down the 1/18 scale streets of NY like Kong or Godzilla. Dang it I was hoping that Tony and Strange 2 pack was true. Guess not. But both of these sets will have to wait for sales. That MBJ head sculpt is DOIN IT! Definitely going to pick this up if I see it, I guess I'll use the other guy as custom fodder or something. Please explain in superhero/superhero movie terms. I really only want the Killmonger figure but I like Martin Freeman so I'm okay with getting this set at full price whenever it comes out. I need that Killmonger BAD, and Ross is a likeable enough character to warrant the purchase. That Killmonger face MIGHT be the best dot matrix head I EVER seen. 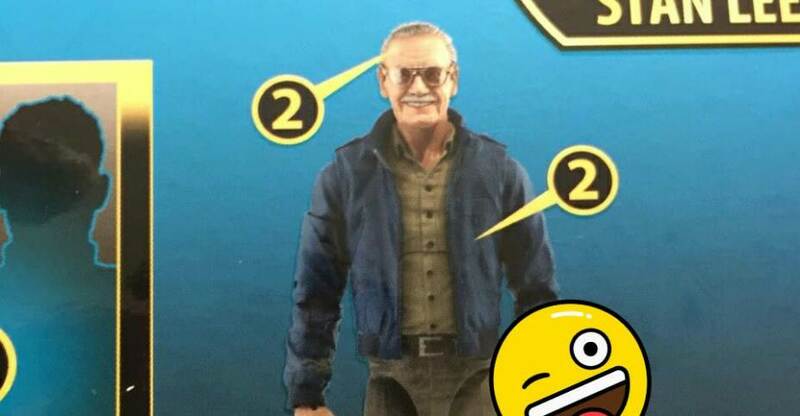 2 Pack: Stan Lee BAF = Upcoming Spidey Wave: Uncle Ben BAF CONFIRMED!!! writing's on the wall there. here we go again.